Following the South America announcement, the four teams invited to the South-East Asia closed qualifier have now been revealed. Invites were sent to Philippines-based TNC Pro Team and Mineski, along with Fnatic, who have a mixed roster, and Geek Fam, hailing from Malaysia. Asia is a region that has been incredibly strong this season, and it’s here that we’ll see such stars as EternaLEnVy, Mushi, Raven, Kuku, Abed, UNiVeRsE, Iceiceice, and many others. We’re looking forward to spectacular and unpredictable games! 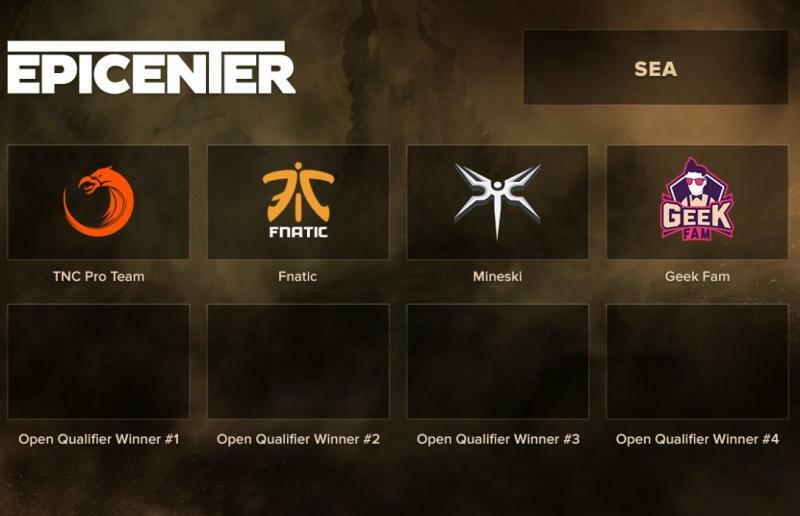 The EPICENTER XL Dota 2 open qualifiers are already coming up this Saturday, while the closed quals are scheduled to begin February 19. Anyone can take part in the qualifiers. Register now at the link below and start on your path to becoming a Major champion!